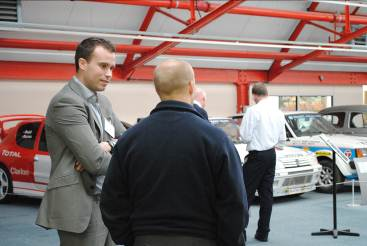 Leading global supplier of specialist engineering coatings for the automotive industry, Surface Technology, has hosted a seminar on excellence in the automotive finishing supply chain at Coventry Transport Museum. 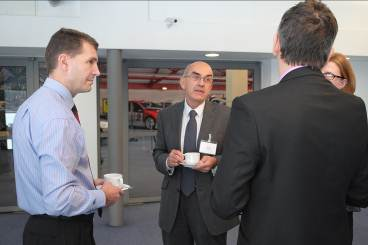 The event was part of a series of industry sector-specific seminars from Surface Technology and offered delegates from companies including JLR, Aston Martin, Eaton Automotive, Caparo and AP Racing the opportunity to share the latest technology and best practice examples in automotive surface finishing. Speakers included Stuart Heggie from the British Standards Institution (BSI) on the subject of ‘the importance of ensuring quality in your supply chain’ and Dr Andrew Cobley from Coventry University on ‘the application of surface finishing technology to improve automotive component performance’. Steve Hubbard, Operations Director of Surface Technology’s IPS division, also delivered a session on ‘management of in-house processes to maximise quality and operational performance’. Following the speakers and a networking session, attendees had an opportunity to tour the Transport Museum, including the new Jaguar Heritage Gallery. Surface Technology, part of Norman Hay plc, has more than 40 years’ experience in the development and application of high performance surface treatments for a wide variety of applications, particularly within the automotive industry in the UK and internationally.